Aging structures aren’t just eyesores — they house a multitude of risks and maintenance headaches. Year after year, you get funding to erect new buildings, but expensive fixes to older buildings fall lower on your priority list, compounding the problem. 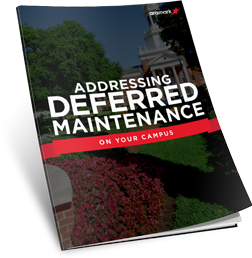 To help you handle your deferred maintenance once and for all, we’ve created a complete guide. Get your free guide today—fill out the short form.